These 14 facts explain Ebola’s growth, its effect on daily life and what resources are needed to fight it. Help us put pressure on world leaders to stop waiting and step up their response, sign the petition. 1. 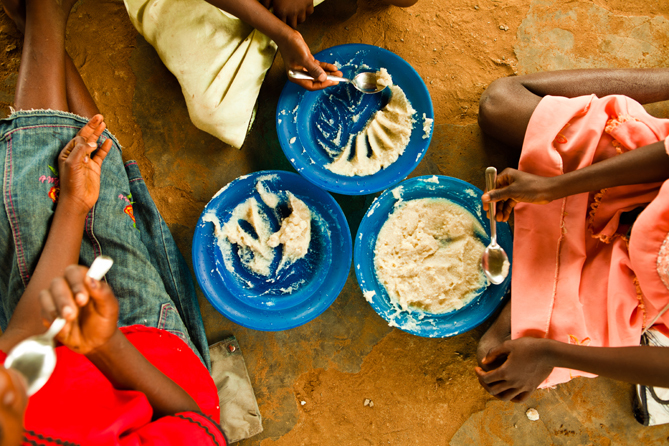 85% of households in Liberia are eating fewer meals a day as a result of the Ebola epidemic. 2. If Ebola is not contained quickly, it will cost Liberia 12% of its GDP by the end of 2015. To put things in perspective, Liberia’s GDP in 2013 was $1.951 billion. The District of Columbia in the USA had a GDP of $105.47 billion in 2013, which is 54 times higher. 3. Ebola is straining healthcare resources in affected countries. Now, 1 in 7 women in those countries could die during pregnancy or childbirth. In comparison, 650 women die during pregnancy or childbirth each year in the United States. 4. Ebola cases in Sierra Leone are showing a sharp rise. According to official figures, there were more cases per week in late October and early November than in August and September. 5. The World Food Programme has said that food prices have already risen by 24% so far this year in the three worst-affected countries: Guinea, Sierra Leone and Liberia. 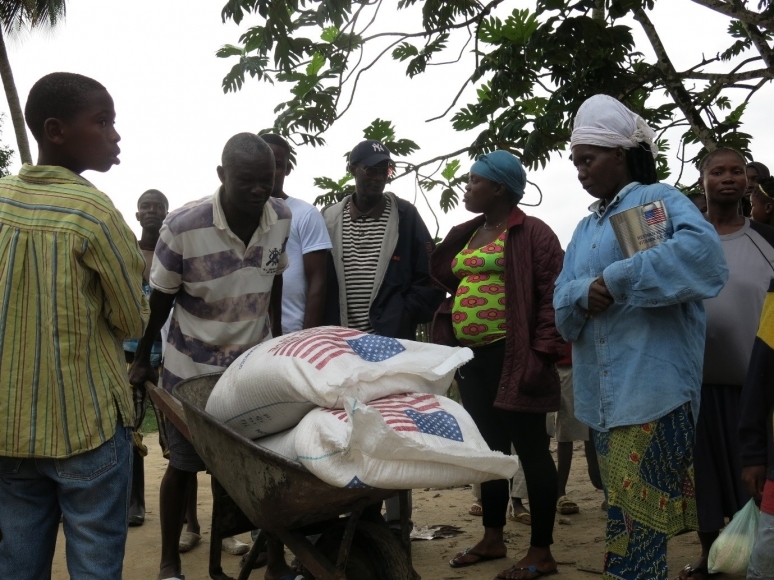 WFP food assistance distributed in Liberia’s restricted areas because of quarantines and rising food costs. 6. Ebola is now impacting events throughout Africa and across the world. Morocco will not be hosting the 2015 Africa Cup of Nations after being removed by organisers due to the country’s Ebola fears. 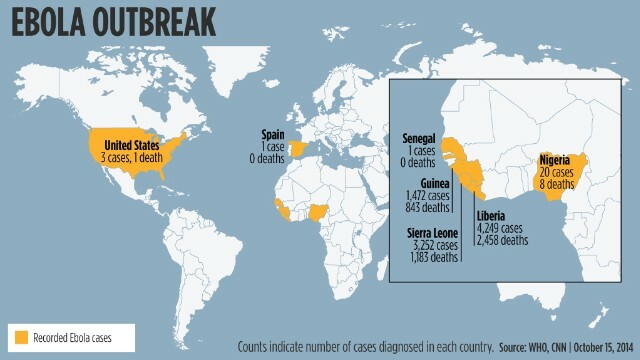 This is despite the fact that Morocco is nearly 1,500 miles away from the centre of the epidemic in West Africa. 7. To date, there have been more than 15,000 cases of Ebola in Guinea, Sierra Leone and Liberia. Out of these, there have been 5,400 deaths. There have been 8,142 laboratory cases, which brings the mortality rate up to 60.79%. In comparison, the Spanish Flu (the 1918 Flu Pandemic) caused approximately 50 million deaths, although only 2.5% of infected people died. Map as of October 15, 2014. 8. This is the deadliest outbreak of the virus since its discovery in 1976. 9. 70% of patients need to be isolated for the outbreak to start decreasing. 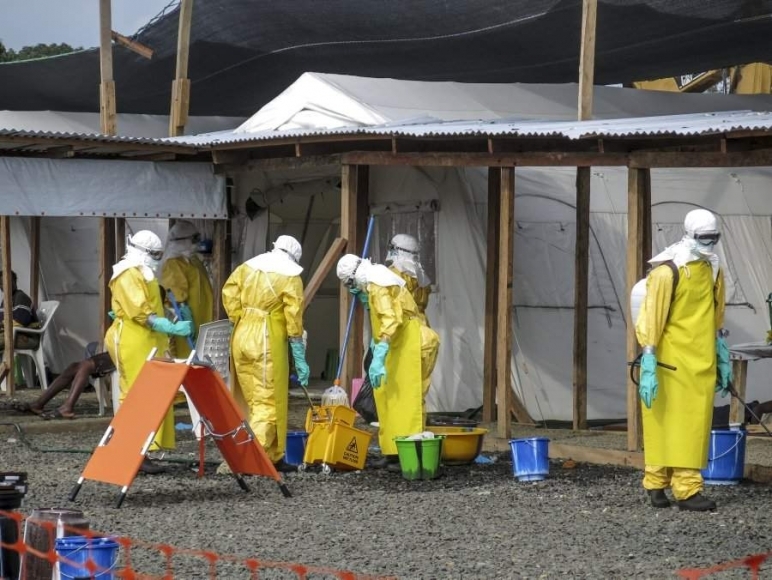 Health care workers in Liberia in front of Ebola isolation units. Photo credit: Frances Kennedy/ WFP. 10. 20% of new infections of the virus happen during the burials of Ebola patients, when performed by friends and family. 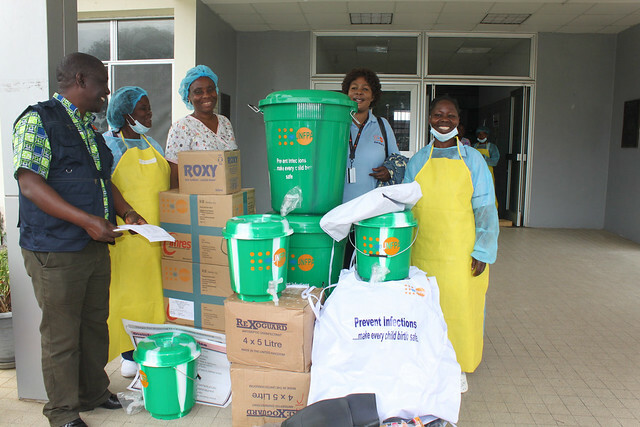 This is why fully protected burial teams like the one below are crucial to stopping the spread of the disease. 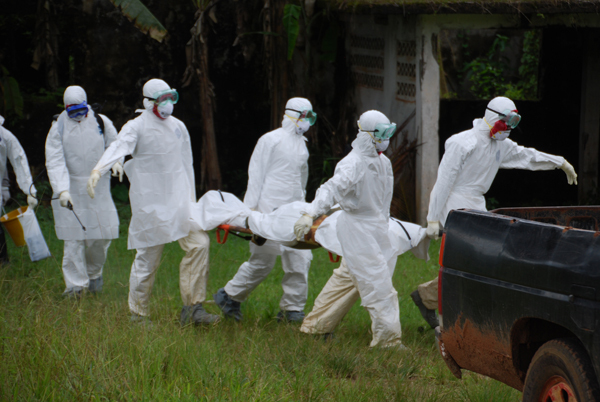 Ebola burial team in Liberia. Photo credit: Josh Balser/ Global Communities. 11. It is estimated that about 4,000 children have been orphaned by the Ebola epidemic. 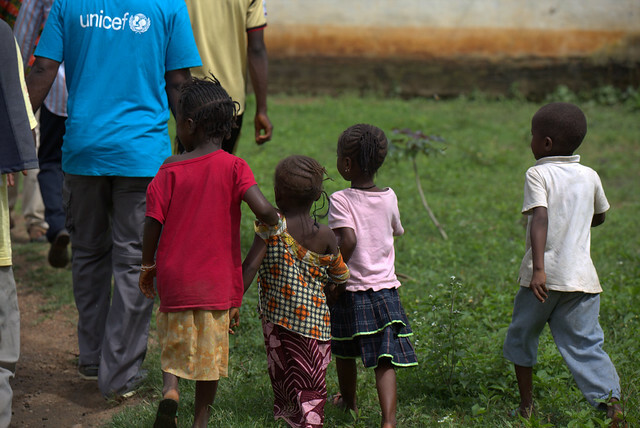 Ebola orphans tell their story to UNICEF. They are safe with their extended familes but their needs are still great. Photo credit: UNICEF. 12. 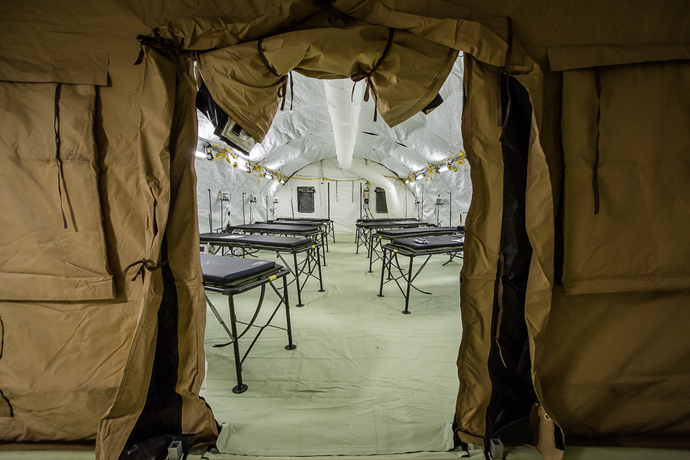 The World Health Organisation has said that 4,461 beds are needed in Ebola treatment centres across West Africa. Right now, only 26% of that number are operational. 13. 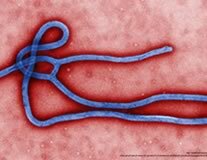 The longer the Ebola epidemic goes on, the more likely it is for progress to slide backwards in the three countries worst hit. Experts are bracing for the next deadly epidemics, which could include measles and malaria. In 2012, malaria killed nearly 627,000 people – 125 times the number of people that have died from Ebola so far this year. Routine immunisation have already dropped rates from 97% to 27% in Liberia. 14. The longer we delay intervention, the higher the number of daily cases will be. Luckily, the international community has started to step up, but we can’t afford to become complacent until every last case has disappeared and the countries have been declared Ebola-free. Big thanks to Anupama Dathan and Jaswanth Madhavan on ONE’s policy team for the statistics.